The last week of January was certainly quite different than the first week. I think the entire East coast (and other places) were experiencing a cold snap the first week. Now here we are the last week of the month and we are back to mild temps and I'm able to run outside again with only a short sleeve shirt. Will it last? Actually I can not complain at all. That cold snap appeared just as I was taking my little hiatus from running so really, those cold temps didn't effect me at all. I hardly noticed them..haha! Last week I mentioned that I started running again and I've been pretty consistent too. My plan is Tuesdays and Thursday are short runs on the Treadmill and Saturdays are runs outside. This past Tuesday it was so nice out that I want to trade in my TM run for a run outside, but I got sidetracked. I went to my neighborhood Dollar General store to get some air freshener for work and I noticed that all their left over Christmas merchandise was only 10 cents! I Seriously do NOT need anymore Christmas stuff but I'd be crazy NOT to buy it! I bought 6 bags of bows and 4 packages of boxes. Regular cost $26. My cost $1. I immediately told my friend Megan who loves Christmas stuff and loves the Dollar General! Okay, so back to running. 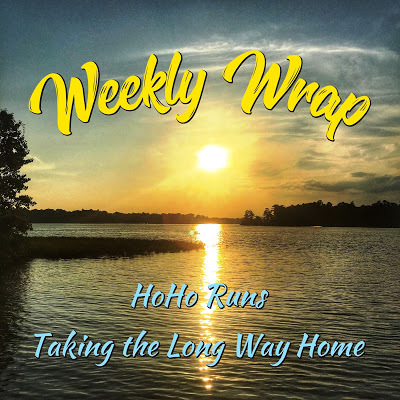 Here are my thoughts on this weeks runs! Since I ended up running a few errands in the afternoon, so I just ended up running on the TM on Tuesday evening. I tell ya, my TM runs will never be at the same pace my outdoor runs are. It will always take me much longer on the treadmill. During Thursday's Treadmill run, I figured out what some of my problem with the treadmill has been all these years. I always keep my treadmill set to a moderate pace (on purpose). But even at these moderate paces, I feel like it is such an effort. I guess I was always afraid of turning it up because I thought "Wow, that belt moves fast, there is no way I can keep up with that" . Turns out, I CAN keep up with a faster pace on the TM and it actually feels a bit easier for me. I guess I need to be more confident on my treadmill runs. Saturday I took my run outside. Since I only did 3 miles last Saturday, I decided I would only bump up to 4 this Saturday (I'm a cautious runner). For the first half of this run my legs were really shaky. I don't know if this was because I did not properly warm up or because I've been use to running on the treadmill. Also, I often have problems with my neck and right shoulder. I know that this is mostly a concentration issue and if I was better at focusing my self straight ahead when I run, this may not be as aggravated . However, I was also carrying a (very small) hand held water bottle. I usually carry it in my right hand, but since I was feeling that pull in my shoulder I decided to switch it to my left hand. The same "pain" was still there. I decided that I didn't really need the water anyway so I just slipped it inside my flip belt. It's amazing how quickly that pain went away. The water bottle was very small and was not heavy. I am surprised that even holding it at all caused such discomfort. Do you ever find that holding a water bottle (or perhaps even holding your hands a certain way) effects your run? 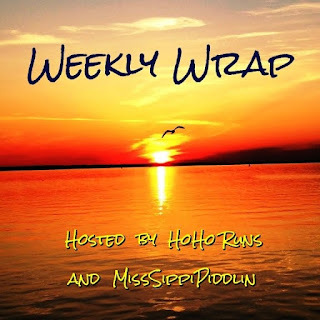 I'm excited to share something about my week this week. I finally did my first run of the year, but it was only a Saturday morning run on the treadmill so there was nothing too exciting about that. However, I did start on something I wanted to do this year. Previously in the post What Really Happened, I talked about things I wanted to do in 2017 and never did, and one of those things was for my sister and I to read the same books and discuss them. We did one last year but wanted to actually do more than that this year. Well Monday I went to the library to get a book and by Friday I was finished with it. 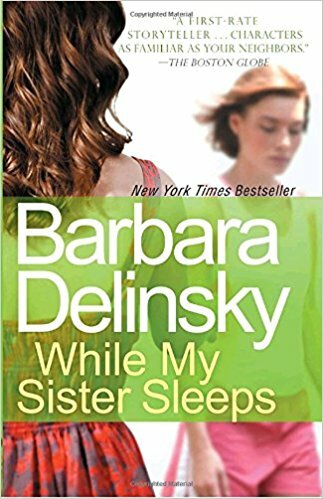 The book I chose was While My Sister Sleeps by Barbara Delinsky. Actually, I ended up picking this book by random. I was looking for another book (by a different author) but it was not there. However, this book was on the same shelf and the title caught my eye. I rarely read the inside of the book to see what it is about, so I usually do judge a book my it's cover (and title). Turns out, this book was about a RUNNER! Perfect I thought. I don't want to give too much away about the book in case you might want to read it, but here is the short version of it and my own thoughts. Of course the book is about two sisters, Robin and Molly. Robin is training for the NYC Marathon and hoping to come in the top 3 female. She is actually hoping to make it to the Olympics. At only age 32, Robin has a heart attack during a run and collapses. A fellow runner finds her laying on the road and calls for an ambulance to the hospital. I did not like the mother's attitude in this story. 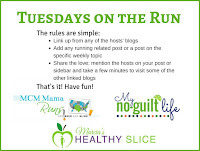 She of course blames the sister, Molly for not being with her sister during the run ( I guess she usually tags along and holds her water), and then the mother starts to blame the fellow runner (a complete stranger) for not running faster and helping Robin sooner. The sister, Molly, is sort of a head case herself. While her sister is in the hospital, she has to pack up both their belongings (they live together) because the landlord is having construction done on their rental because he is selling it. He gives her a date that she has to be out by (she knew this even before her sister's accident). Yet when the accident happens, she thinks her landlord is being unreasonable for not extending his deadline once again (this is a small part of the story but it really bothered me that Molly would act that way). Anyone who is seriously into running could probably relate to some of Robins thoughts and secret feelings. I am certainly not into running as much as Robin is but I could relate to some of the running references. However, I was a little disappointed the author did not let the reader have a stronger connection with Robin. Besides some thoughts on her running, we didn't really get to know Robin as a person (It would have been nice to have some flashbacks of her life up until that point). I have been known to get very emotional while reading some of my favorite books, but during this one I felt like I was not as invested in Robin and whether she recovered from her accident or not. If you decided to read this book (which is not a bad read for a runner), I would warn that it kind of drags on in the beginning but does become more interesting at the half way point. I can't believe it's Friday already! I love how fast this week went. Did it go by fast for you too? I am also glad that this cold snap, polar vortex, or whatever you want to call it has passed. Two weeks of that stuff and I will officially call that our winter! I'm glad it's gone and we are back to our normal temps. Sometimes you just want to sleep in instead of run long on the weekends. Sometimes you want to come home from work and watch Judge Judy instead of lace up and go run before it gets dark. Sometimes you want to curl up with a good book (I'm certainly intrigued with one now. I picked it at random and it ended up being about a runner). Sometimes you just want to spend your free moments with family, and that's alright! And of course after doing All This ^ for a month sometimes you can't wait to get back outside and run your favorite routes! 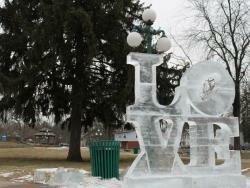 Every February our community hosts an Ice Festival. During this weekend the downtown is filled with ice sculptures and artists, there is a chocolate tour, there are games at the park, and there is a polar plunge, and frosty 5K. I have seen the ice sculptures before and they are pretty cool (literally) and some of them even light up. I wanted to buy tickets for the chocolate tour last year, but then honestly just got too lazy to go. I did go to the polar plunge a few years back (not to participate but to take photos for the newspaper) and quite frankly I don't understand why anyone would want to do that. I'm sure it probably benefits some cause, but I'd rather just donate a check than take the plunge! 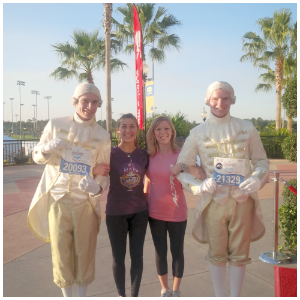 This year I thought I would take part in the Frosty 5K. I've never done this race before because quite honestly, the name never appealed to me. I mean come on, who wants to run a FROSTY 5K? But as I looked through my training logs from the past few February's I noticed that the weather has not been that bad. I did many of runs in just a short sleeve shirt. So why not sign up? Now here is what is irritating me. I first decided I would consider running this back in December. I saw all the details (so I thought) on the Official race web page. Donuts and hot chocolate at the start, a nice course, turkey subs at the finish, and discounts to all the runners for the other festival activities that day. Sounded like a great race! However, I noticed that all the race info was still from 2017 and there was no place to register for the 2018 race. I did a little investigating on my own and still could not find an update page to register for the race. Seeing that it is a local race, I thought perhaps registration for 2018 has not yet opened. Maybe they would open it after the new year? Yes, I know that is unlikely that race registration would only be open for one month, but that was the only logical explanation I could come up with as to why I could not find it. I went back to the website on January 1st and 2nd and it still had not been updated. I found a contact email for someone in the Rotary club who was sponsoring the race and asked where I could find an updated registration form. He promptly sent me a link the next day. The 2017 registration form was linked through RunSignUp.com (which most of our local races are) and this new one for 2018 was linked through a different site I had never heard of and quite frankly would have never been able to find had he not sent me the link. When I opened the link to register I noticed that I not only missed the first price increase, but the second price increase as well. This frustrates me because I hate paying more than I have to for a local 5K. What angers me is not the fact that I forgot to sign or or that I missed it, its that the information/registration was not on the proper page. If they were going to change the registration page, then they should have put that new registration link on the old race web page so people would know where to find it. Even if you just do a random google search for this race, the 2017 page still comes up. I guess no use in complaining about this now. I still haven't decided if I want to pay that much for a local 5K or not but I guess I don't have to be in an hurry to decide since the price is the highest it is going to be now (besides on race day). I'll see how many runs I get to do between now and February! This seemed to be a short week, so I actually remembered something from each day (which rarely happens). My friend Rebecca does an end of the month post called "A Sentence a day" which I like, but it would be challenging for me to only use one sentence so I am going to try this format for the week and see how it goes! Sunday (New Years Eve) - We had plans for over a month to go to a dinner party with some friends but then an hour before we had to cancel. I kind of felt like a jerk for doing so but Scott had been sick all week and did not feel like he could handle being at a fancy restaurant all evening. I completely understood. We did go to a party later that night at my cousins house and it was so nice to see all my family again and play games. We taught my pappy a new card game and he caught on real well! Check out that cool champagne cake my cousin made. It was fabulous! Monday (New Years Day) - Happy to have another day off work! My sister made us a traditional New Years day dinner of pork, saurkraut, and potatoes. My dad, however slipped and fell out at his pond and had to go to the ER. He came home with three staples in his head. Ouch! Tuesday - Back at work but after work we were still busy. I had to finally go for groceries since we've been eating snacks and holiday leftovers for the last week. Then we went to an 85th Birthday party for my Pappy! Thursday- I stopped at the store to pick up some more fleece lined tights since we are in the middle of this cold snap. I ended up picking up some pumpkin spice popcorn and french vanilla hot chocolate. Friday - No School. I always have these big ideas of how much stuff I'm going to get accomplished when I don't have to go to work. The only thing I did was sew a cover for my bench and it literally took me 5 hours and the bench wasn't even that big! I didn't have a pattern so it was a lot of trial and error! The corners are what gave me the most trouble. Saturday- We spent the day shopping. When we got home we ended up getting into the tv series "The Good Doctor". Anyone else watch it? We watched the first 3 episodes and are hooked. 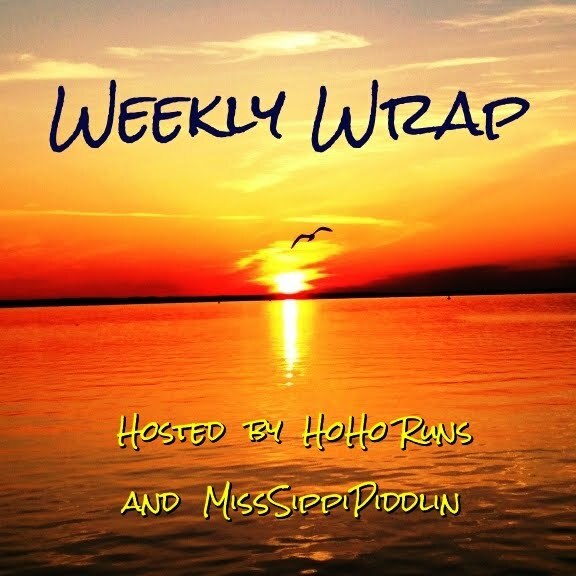 We will be linking up with Hohoruns and MissSippiPiddlin for their weekly wrap. On New Years Eve I was browsing some old blog posts from last January to see what I was writing about at that time. I wrote a post about what I was looking forward to doing/intended to do in 2017. I thought it would be fun to recap those intentions and let you all know what REALLY happened! 1. Intention- Have a better relationship with my treadmill. What Really Happened- I bought a subscription to the ifit program on my treadmill. It really is the neatest thing but I only ended up using it a handful of times and didn't use it all after March. I really do prefer running outside. It is a bit of an expense and I certainly didn't get my monies worth out of it in 2017 but I'm thinking of giving it another go round in 2018. 2. Intention- Start a book club with my sister. What Really Happened - We read one book the entire year and to tell you the truth, it was a book I already read so I actually cheated and listened to it on audio book on my way to and from work. We'll try this again in 2018! 3. Intention- Paint the den. What Really Happened- This room is very large with vaulted ceilings. I've painted it twice myself since we lived here so this time I paid a professional to do it. I really wanted it painted blue but couldn't find the right shade so at literally the last minute I panicked and chose a neutral color. The room turned out to be a success. What Really Happened- Well this was more Scott's intention than it was mine. I just can't bear to bring another dog into the house right now because although it could be a good thing for Baylee, it could also stress her out too. Not to mention things are so easy with Baylee. She listens well, she travels well, and I can take her shopping and stuff. What will happen when I have two dogs? The puppy will always have to stay home because I can not take TWO dogs into Starbucks. That will get us kicked out for sure! But really, I like having all my attention on Baylee. I would feel bad having to divide my time among her and another. Intention-Run some new to me races. 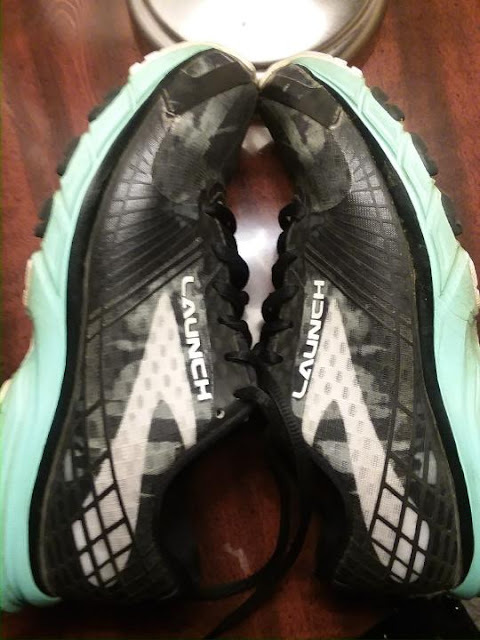 What Really Happened- I did run 3 new local races ( The Monumental Mile, The Color Run, and the Monster Mash) and several out of town races as well. Intention- Run some Big City Races. What Really Happened- Well, I did cross two cities off my list, NYC and Baltimore. I would call this a success! Intention- I wanted to try doing a bike race. Not to race it, but just to finish. What Really Happened- Not a darn thing. I rode my bike on the trail a few times and that was it. Starting off the year I didn’t have any specific goals for running. 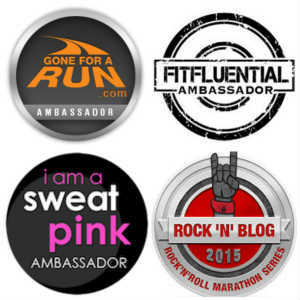 I just wanted to maintain my fitness and love for running and if a PR happens, that’s great. I like to at least get a 100 miles each month, but if it doesn’t happen I don’t beat myself up over it. I don't keep a running journal so I at least wanted to get these miles down in print (at least for myself anyway). January- 107 started off very cold but still managed to get over 100 miles. February- 156 miles. This was the most mileage I ever ran in one month. 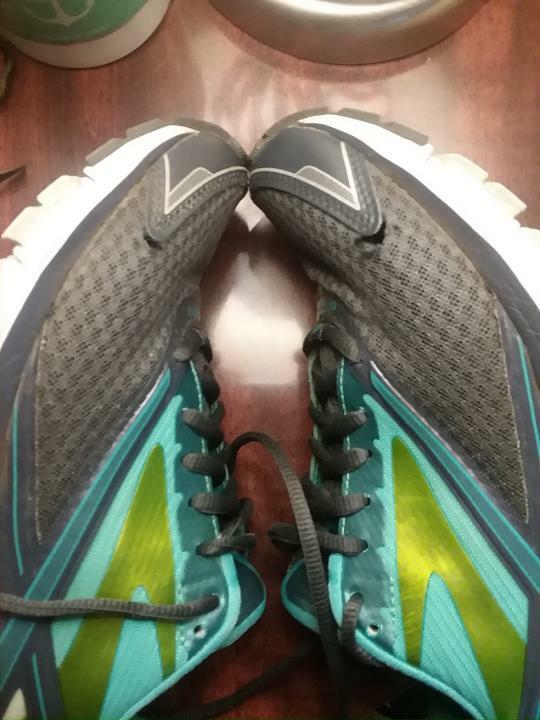 I was training for Shamrock marathon this month and remember logging over 60 miles one week. After I did that, I took almost a week off relaxing in Jamaica. I couldn’t believe that I logged that many miles in one month, even with taking almost a week off. March 103 miles. With my taper before the marathon and recovering well after the race I was happy to still log just over 100 miles. April- 148 miles. Honestly I can’t remember what I even did this month so I am surprised I got that many miles in. It must have been just enjoying the Spring temps after the colder months prior. May- 119 Got some good runs in at the beach as well as the trails before the summer temps started to become a challenge. June-65 miles. I went to Cancun for almost a week so didn’t do too much running that week. In addition, I received a new position at work during the summer that forced me to work very long hours (10-12) at a time so needless to say running took a back burner. July-93 miles. Still crazy at work, and super-hot out, but beat June mileage, so I was happy about that. August-101 It surely did not get any cooler, but got more into a rhythm with my work and running routines. September- 119 miles. Can you tell that work slowed down? In addition to that, the temps cooled down as well and I placed first at a 5k race. October -140 miles. 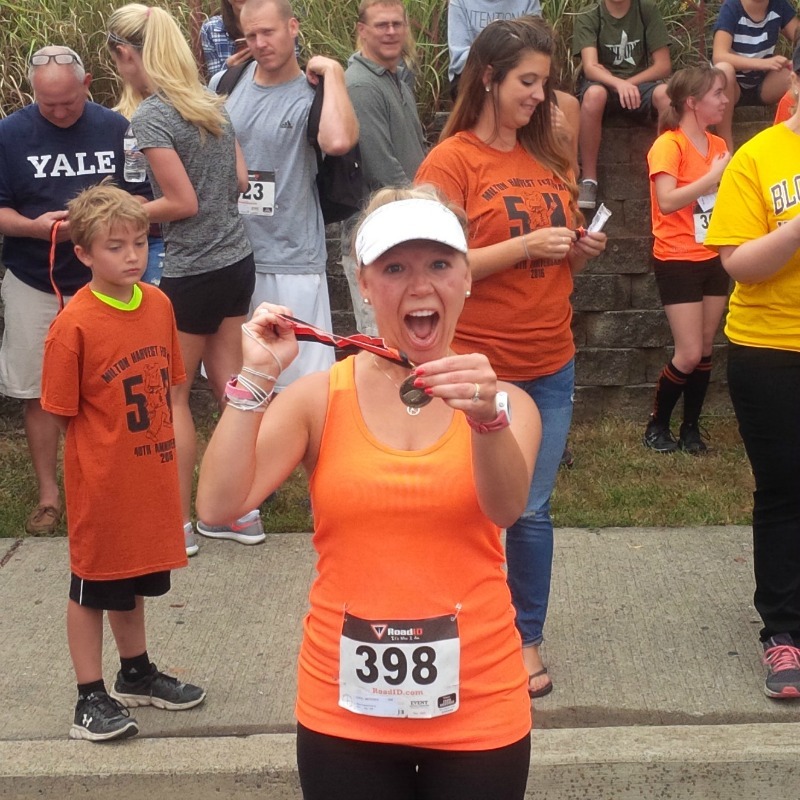 Some nice fall weather temps and two races; a Halloween 10k and the Baltimore Marathon. November- 127 miles. This was probably one of the best months. Not only was it my Birthday month. I got to do something I really enjoyed on my special day. Run a marathon. I got the best birthday gift ever. A huge PR that will take me to Boston in 2019! In addition, I also started my running streak on Thanksgiving. December-141 miles. My Running streak continued. It was a good thing I had a treadmill, because if I didn’t, I do not think my Run Streak would have lasted. There were some very cold days this month and I hate running in the cold so I was very thankful for my treadmill. The streak wasn’t as bad as I thought it’d be. I only had a few days that were a struggle. Two days I wasn’t feeling well. Good thing I had a 5k on of those days (I placed 1st in my Age Group) and the other day I went shopping out of town for the day. I made it home by 11:15 pm. I was going to just call it a night, but there were only three days left of the streak. I thought to myself I made it this far, I need to finish it. So I hopped on the treadmill to get my mile in. I finished the year off with 1,419 mies. Why didn’t I just do one more mile? I don’t really know. Regardless, I am very happy with my mileage for the year for not having an actual goal. I do not have any running related goals for 2018. 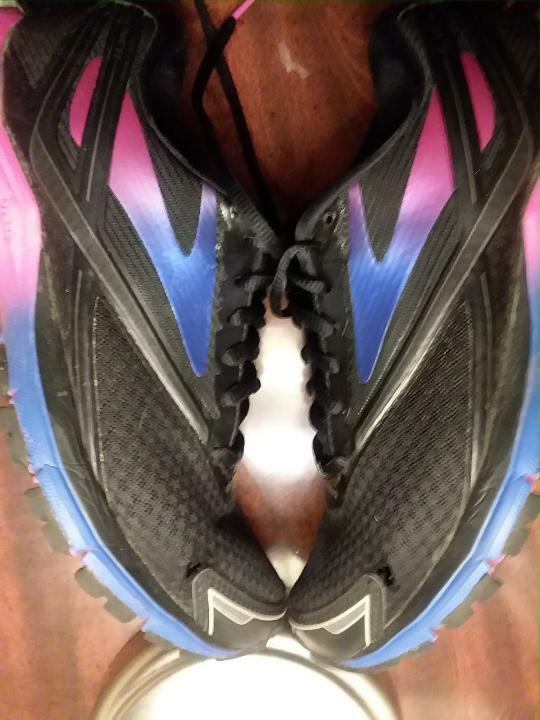 I just want to run for fun and remain injury free. 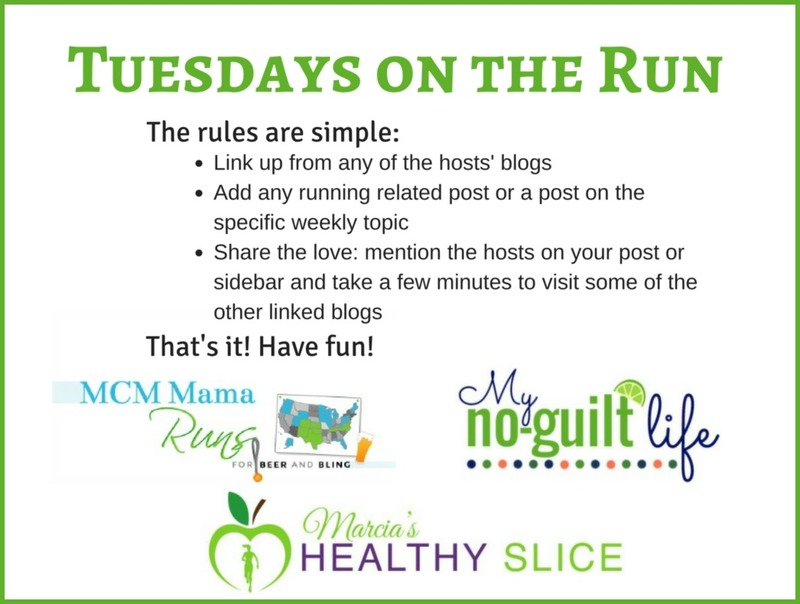 We'll be linking up with the gals from Tuesdays on the Run!